With an innovative, business-model approach, Game Development Essentials: Online Game Development provides the essentials needed to achieve long-term success with Massively Multiplayer Online Games (MMOGs). 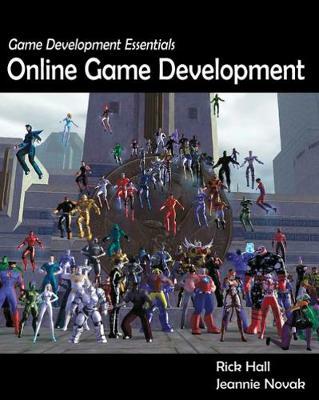 This book takes a significant and valuable departure from traditional game development books by addressing MMOG development as a complex, multi-faceted, service-oriented business, instead of focusing solely on technical, artistic, or design techniques. The resulting multi-dimensional focus allows readers to design their game and organize their development process with the entire business in mind. Coverage includes the key differences between single player games and MMOGs, as well as how the various components of the development process, such as the business model, marketing plan, gaming community and technical constraints, influence one another and determine the success of the MMOG.